Only this time Honda has recruited Jenson Button and a few of his friends to help out. The . But Honda isn’t satisfied with that title alone. It wants more records. So it recruited a squad of world-class drivers to help make that happen. Honda has announced that former Formula 1 World Champion and current NSX Super GT driver Jenson Button will be one of the drivers taking that hot hatch to some of Europe’s most challenging tracks to bring home new record times. He’ll be joined by WTCR driver Tiago Monteiro, Esteban Guerrieri and fellow NSX Super GT driver Bertrand Baguette. Honda is calling the whole thing the “Type R Time Attack 2018,” and its goal is to exceed the times set at Silverstone, Spa-Francorchamps and Estoril from back in 2016 during the reign of the previous generation Civic Type R. The latest generation’s Nurburgring record provided additional inspiration to go at it again. 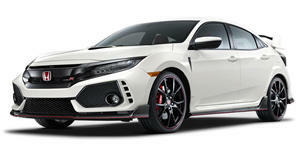 Honda makes no mention of any mechanical changes to the Civic Type R, meaning it’ll be bone stock. Power, as we all should know, comes courtesy of a turbocharged 2.0-liter four-cylinder with 315 hp and 295 lb-ft of torque. Top speed has been clocked at 169 mph and 0-62 mph happens in 5.7 seconds. Last April, it set the Nurburgring FWD lap record with a time of 7:43.8. 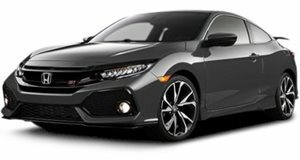 The Civic Type R is now on sale and late last summer and early fall we were seeing , a situation we’re sure is still happening on occasion. In any case, Honda will be bringing the 2018 Time Attack Civic Type R to Geneva next week, and we’ll be on hand to hopefully learn more interesting details.